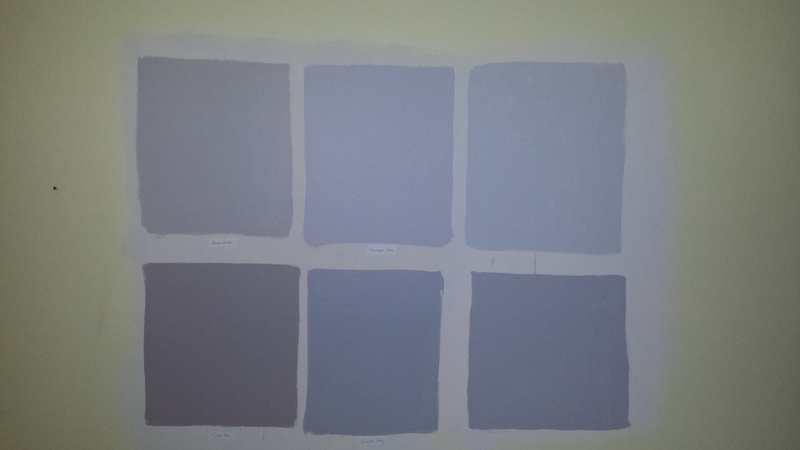 If any of you know how decisive I am (I’m not), you’ll know how easy picking paint colors is for me (it’s not). So I did what any gun-shy homeowner would do: put up an array of colors and stared at them obsessively for a few weeks. (OK…months). In my defense, I was trying hard to enjoy summer here without the burden of a big project and commitment. 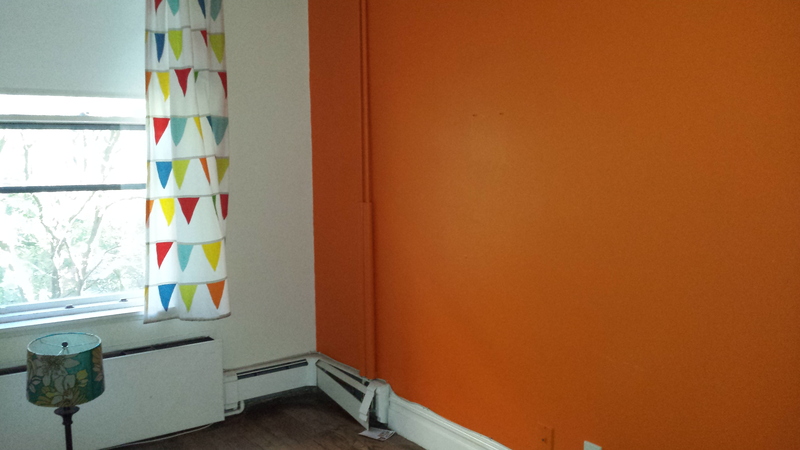 But it’s almost fall, the humidity is fading, and it’s time to breathe some new life into these walls and permanently tone down the bright colors I’ve lived with since moving in (see pumpkin orange, below). It’s a warm gray thats a bit deeper than my living room. I’m thinking of doing a hand-painted accent wall behind my headboard at some point. For bedroom #2, I wanted to go dark, with pops of color, brass and white. An informal survey of approximately everyone who’s been to my apartment has about 1% of them supporting me in this decision. So naturally, I’m even more excited for the project. I’m going with Day’s End by Benjamin Moore (not shown) Will it be a nice jewel box or a dark goth cave? We’ll see! I love a good challenge.